Need your furnace repair and inspection done fast? The Air Is Blowing Cold! The last thing that anyone needs on a cool night is their furnace blowing cold air throughout your house. Not only are you struggling to keep your family warm, but you occupied with thoughts of your bank account getting crushed. 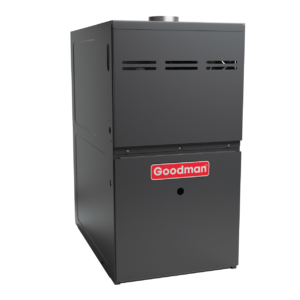 Our mission is to maximize the life of your furnace. We want to do our best to do your heating repair and help you plan for an eventual replacement where possible. Furnaces typically have 10-year warranties but can last, with proper maintenance, upwards of 20 years or even longer. Our technicians are trained to work for you to resolve the problem as efficiently and cost-effectively as possible. The last thing you need is a pushy salesman that’s got you “right where he wants you” and tries to sell you brand new equipment that you may not need for another couple of years. Get a furnace diagnostic done right from someone you can trust. We aren’t just furnace experts, we are trained HVAC technicians who will look at your entire system to find the problem. What exactly is the problem with my furnace? Will I be faced with other challenges in the near future? How much life can I reasonably get out of my current system? If I upgrade my furnace, how much can I expect to save from operating cost reductions and is it worth it? This could be a reality for some homeowners, but we are prepared to work with you. If this is a necessary step with the furnace repair work our HVAC specialist is completing, we will discuss these options in great detail. At Performance Heating & Air, we can install the most efficient heating system for your home that will not only save you money on energy bills, but also keep the air quality in your home.